The internet is no longer a prerogative of the well-to-do. With reducing data charges and a greater outreach, the internet has made its way to the remotest corners of India and the world as a whole. While digital connections have enabled individuals and organizations to straddle wider expanses in a shorter span of time, the digital paradox is the genesis of this same internet as a countervailing force that’s limiting its potential. Wondering what this countervailing force is? 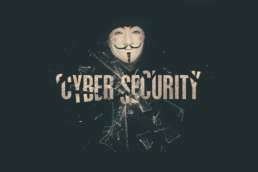 Cyber crimes! The widespread penetration of the internet and the availability of the massive loads of personal and confidential data in digital form has given cyber conmen greater leeway to utilize their unscrupulous intelligence to execute more sophisticated cyber crimes. Our honorable Prime Minister, Shri Narendra Modi, has always been a strong advocate of a “Digital India”. He has implemented several steps for a digitally progressive nation. The Indian digital saga is bejeweled by a number of lucrative ventures and success stories. For instance, India’s teledensity now stands at 82.93% as per latest updated figures and the rural teledensity has also shown a remarkable increase to 50.63%. The Government is aggressively working towards providing high-speed internet connectivity to 2.5 lakh gram panchayats through Bharat Broadband Network Limited (BBNL) to fuel the dream of a ‘Digitally Connected & Empowered India’. To provide internet access to all citizens, BSNL is installing Wifi hotspots at several important public places such as the Taj Mahal, Haridwar, Sun Temple (Konark), Ajmer-Dargah Shareef and much more. 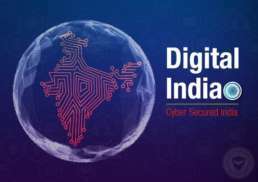 While there have several instances of Luddites and others harboring regressive mentalities bad-mouthing such digital initiatives, this was the much-needed step to put India in the global limelight in terms of digital evolution. 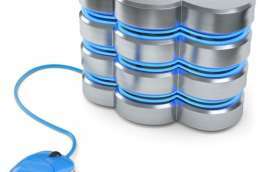 However, a digitally progressive nation also calls for robust digital security. After all, the most digitally advanced nations are often the victims of the gravest cyber crimes. And being the country with one of the world’s swiftest growing population and economy, India needs to position itself in a way that it is able to effectively combat all attempts of attack, espionage, and sabotage of critical digital networks. Thus, the steps towards digitization must be taken in unison with the necessary steps to predict, mitigate and prevent cyber crimes and cyber threats. And the onus of maintaining digital security not just rests on the leaders spearheading the nation or those running an organization but on every individual who is a part of this digital world. Ever since its digital transformation has gained pace, India has been at the epicenter of cyber attacks executed by cybercriminals, hacktivists and mostly non-state actors. As per Cherian Samuel, a Research Fellow in the Strategic Technologies Centre at the Institute for Defense Studies and Analyses in New Delhi, such non-state actors who have the support of the usual suspects have been largely found to be involved in cyber espionage by breaking into government networks while the all-time cybercriminals are being nurtured by the ever-increasing Indian Digital landscape. 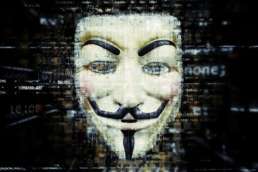 He has also found that Indian networks are being increasingly targeted by ‘patriotic hackers’ and hacktivists who are a part of the larger anonymous arsenal of hackers. The year 2017 witnessed an all-time high of cyber attacks and frauds faced by Indian companies, according to the Global Fraud and Risk Report from Kroll. Due to the high value of personally identifiable information (PII), e-commerce and banking sectors have worse-hit by such cyber attacks. Ransomware is a major concern for India, especially the Indian Government, as they are often the hapless victims of cyber criminals who steal important passwords and take control of devices. The recent uproar about the possibility of the biometric details of scores of citizens falling into the hands of private parties left the entire nation in a state of shock. Although the Unique Identification Authority of India (UIDAI) has refuted such claims of data breach made by a media house, this public panic has led them to implement stronger firewalls such as virtual IDs and face recognition for the sake of data protection. The most common instances of cyber attacks at organizations have been found to be email-based phishing attacks and then virus/worm attacks. A recent survey shows that the three most common targets for cyber criminals are customer records, employee records, and trade secrets. Compared to the 57% worldwide figure, about 80% Indian respondents said they felt themselves vulnerable to email-based phishing attacks, with other major cybersecurity concerns being data deletion, data alteration and virus/worm attacks. If the above headlines pertaining to the rising menace of cyber crimes in India do ring an alarm in your head, then it is imperative that you as an individual or an organization should make a conscious effort to increase cyber awareness and arm yourself efficiently to prevent it from harming your reputation and business. Incognito Forensic Foundation has years of experience in assisting organizations to reinforce their data security by predicting and mitigating cyber crimes. Our digital forensic experts leverage their technical and analytical skills to protect business-critical data from illicit disclosure, use, and access. Our holistic approach to addressing vulnerability involves a thorough and methodological analysis of the actions of competitive organizations that help us identify potential cyber threats. Our sound analysis of images, sound, and other data helps us quickly identify and respond to data leakage or other unauthorized actions. Our experience of having worked with enterprises in a wide range of sectors has enabled us to keep ourselves up to date with the latest methods and types of cyber attacks. This provides us with the acumen to predict the vulnerability of your organization and providing you with bespoke solutions to evade such risks, as well as remedying measures in the event of an attack. Contact IFF Lab for Cyber Security and Digital Forensic Services.